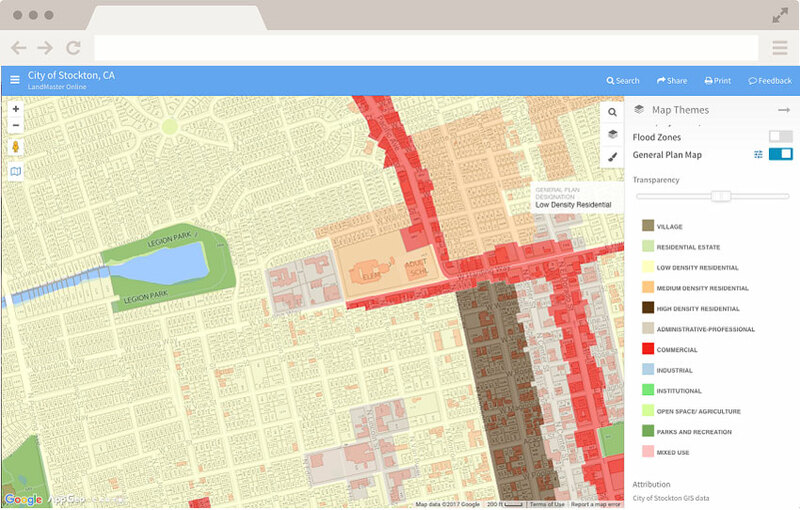 MapGeo just got better…learn about the new features here. you need to understand your community and make informed decisions. 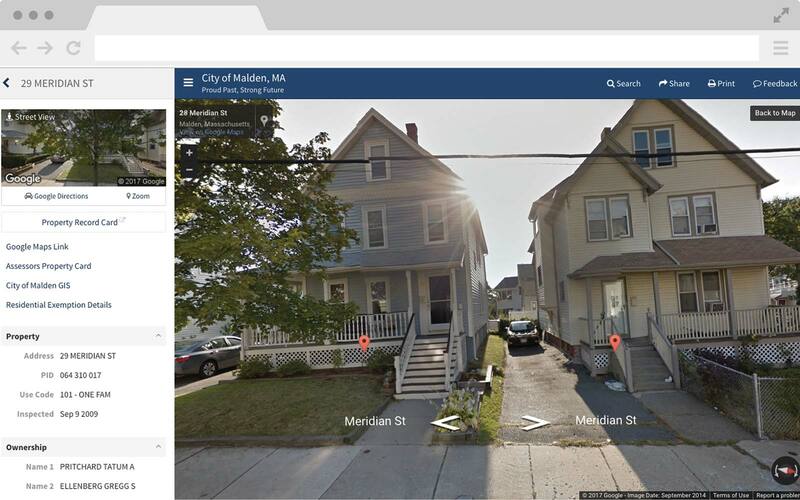 Explore neighborhoods with Google Street View with access to detailed, descriptive property information. 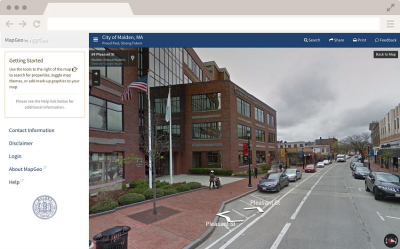 MapGeo makes Google Street View more useful by adding local property data and saves valuable time for staff and citizens seeking to evaluate properties from their home or office. 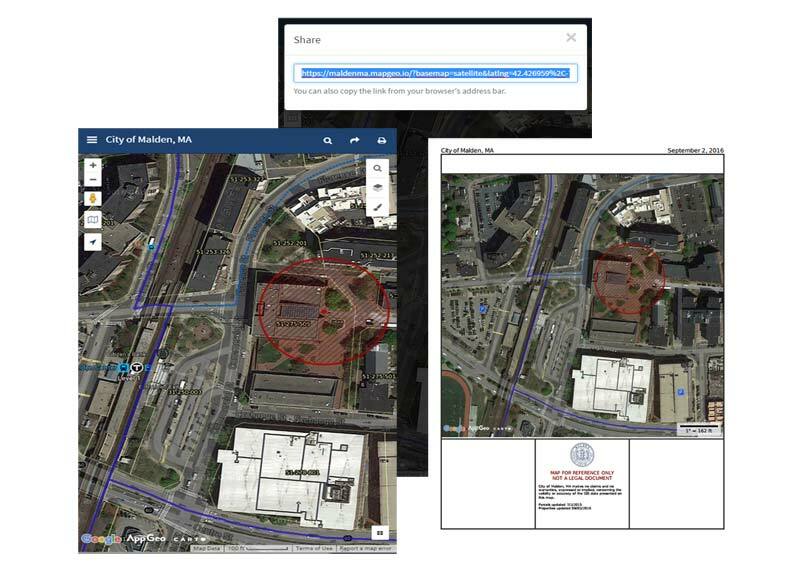 MapGeo delivers the same powerful tools and maps to smartphones, tablets, and desktops ensuring everyone has access to the answers they need no matter where they are. 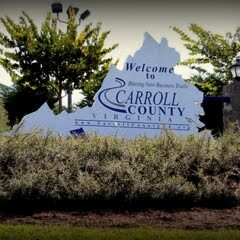 When is trash pickup at this address? What is the valuation of properties on this street? Maps are made to be shared. With draw and measure tools, add any text or graphics to the map including distance measurements. Then share your ideas with your as a direct link using the Share function or Print a hard copy map. 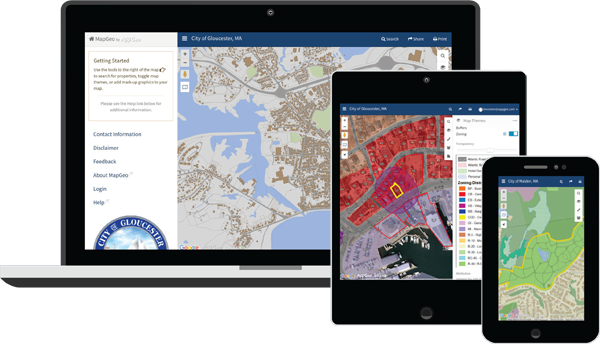 Pull in data from a variety of sources, including local data, data from state geographic information offices, federal sources like the Census and FEMA – and many more. 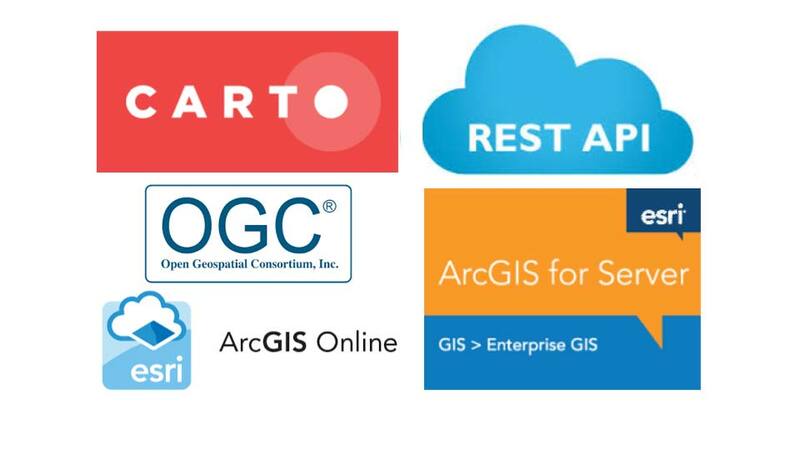 Data can be consumed from a variety of sources including Carto, ArcGIS Online, Arc Server, most WMS and WMTS services or accessible REST API. Your New Digital File Cabinet. 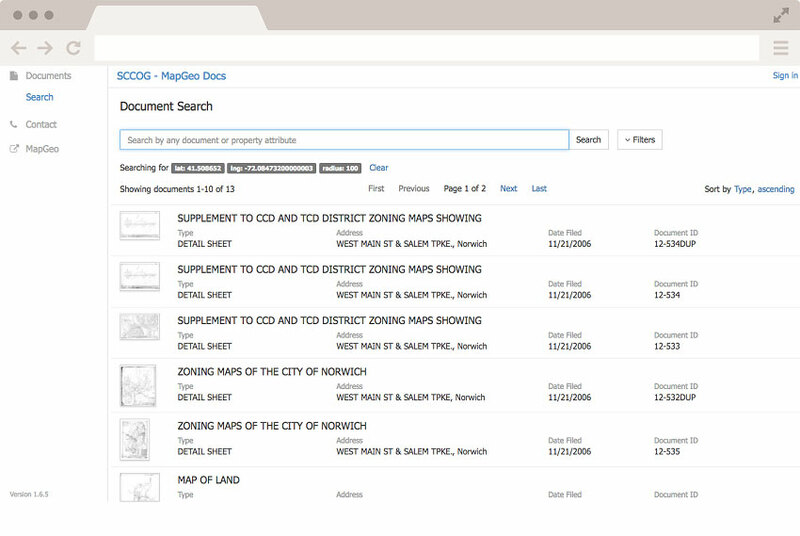 Organize digital documents by geography and attributes for easy search, retrieval and display on any device. Replace the data on your site whenever you want – with just a few clicks of your mouse. 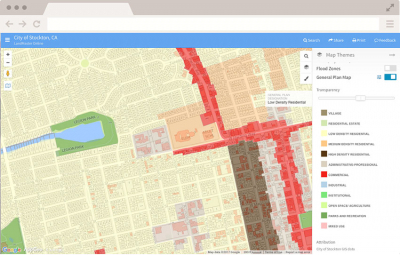 Control and configure every part of MapGeo including the branding, available property information, layers, and security. 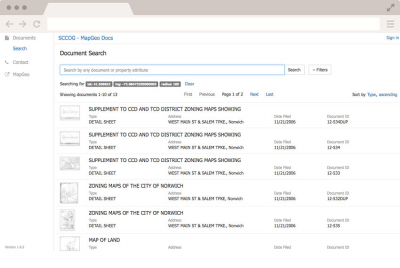 The automatic property record uploader replaces the property data on MapGeo as often as you want. Most CAMA systems are supported. 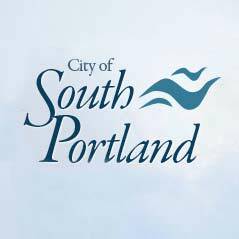 Link your site to open third party vendor systems including property record cards, permitting systems and more.